Ocala, FL – February 16, 2016 – Sapphire Riding Academy’s riders warmed up from the chills of Chicago and were ready to show thanks to trainer Doug Boyd’s program. 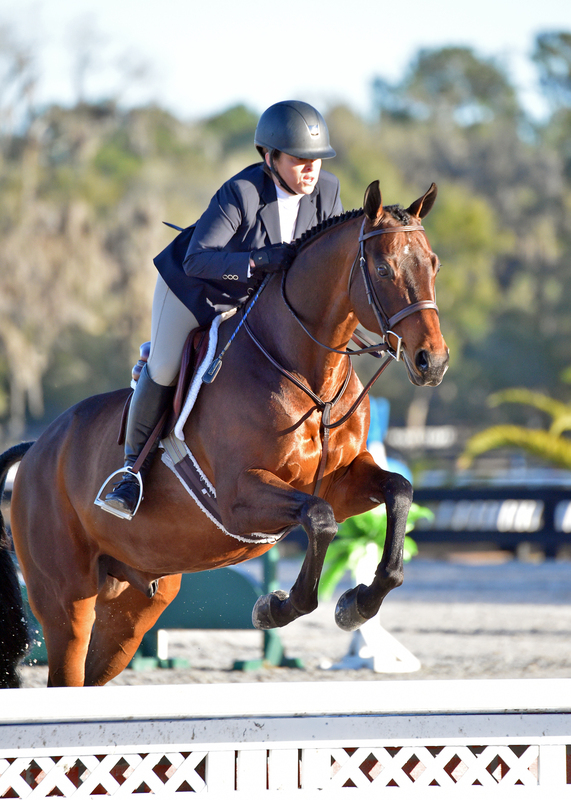 Boyd’s riders were busy collecting top prizes during week IV of HITS Ocala, demonstrating his program works. Clara Ciancuillo, 23, of Glencoe, IL, and Sapphire Riding Academy’s Reflection, won two Low Adult Jumper classes landing her with the Reserve Championship in the division. Ciancuillo also won the $1,000 S.A. Comunale Low Adult Jumper Classic by stopping the clock with a blazing time and a clear round to beat eight other riders in the jump off. “She was amazing for taking a year off of riding,” added Boyd. Ciancuillo studied psychology at Westminster University in London, England. It was something she originally wanted to pursue but as life changed, so did her plans. Now she is all about the horses since she and her mother own Sapphire Riding Academy, Mettawa, IL, which opened in January last year. Ciancuillo recently purchased the jumper, Nicholas, and managed to add three third place ribbons to the tack room banner with the new mount. 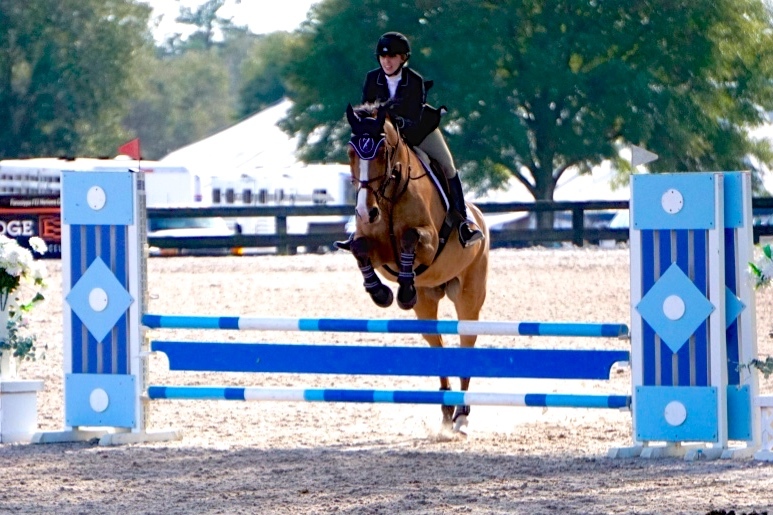 She purchased the horse so she could start moving up in the jumper divisions when she was ready. “I'd love to do a Grand Prix but I still have a lot to learn. I just want to be the best rider that I can be and enjoy life with these incredible creatures,” added Ciancuillo. Boyd talked about his training approach, which has proven to be successful in a short period of time. More of Sapphire’s horses collected top prizes during the week including Calido’s Son, who has won numerous championships in the 3’6” Performance Working Hunters since being purchased by Mimi Rothman last year. This past week, Boyd rode the handsome bay Holsteiner to four wins and a second place finish to add another championship to the resume. The pair also took the seventh place spot in the $10,000 Devoucoux Hunter Prix. Reserve Champions Mimi Rothman and Pippin. Photo ESI Photography. Rothman’s other horse, Pippin, ended up in the winner’s circle as well. Rothman piloted her trusty mount to the Reserve Championship in the Maiden Adult Equitation division. Boyd also landed himself some top ten ribbons in the Grand Prix Ring, managing the courses designed by Olaf Petersen Jr. of Muenster, Germany. Thirty-eight riders tackled the 13-effort course in the $2,500 Brook Ledge Welcome with Boyd claiming the eighth place prize with his Berkley III. Later in the week, Boyd and Berkley III also took the eight place spot in the $10,000 Open Prix 1.45m. Playtime between showtimes! 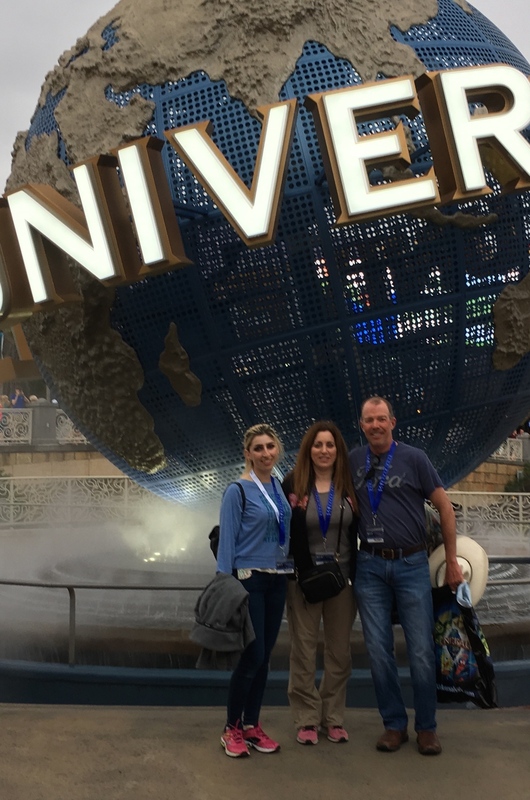 Clara Ciancuillo, Mimi Rothmans and Doug Boyd at Universal Studios for a VIP tour. After the busy week, the group celebrated with a VIP tour of Universal Studios before heading into the next week of competition. The beauty of the destination horse shows is there’s always something fun to do between showing, and the Sapphire group is adventurous! 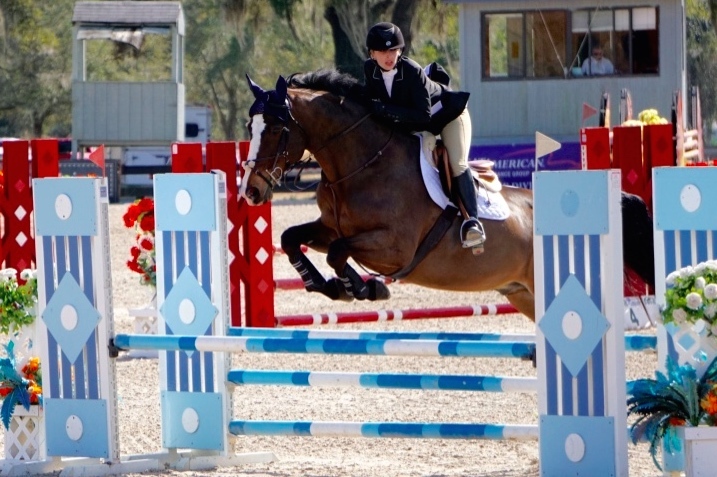 Sapphire Riding Academy will be in Ocala until the end of the circuit, which runs until mid-March. 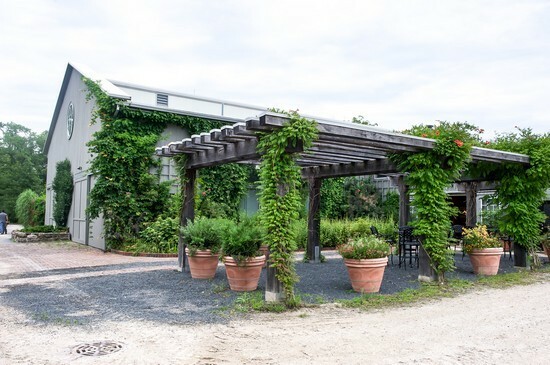 For more information on this fantastic facility, visit their website at www.sapphireridingacademy.com.